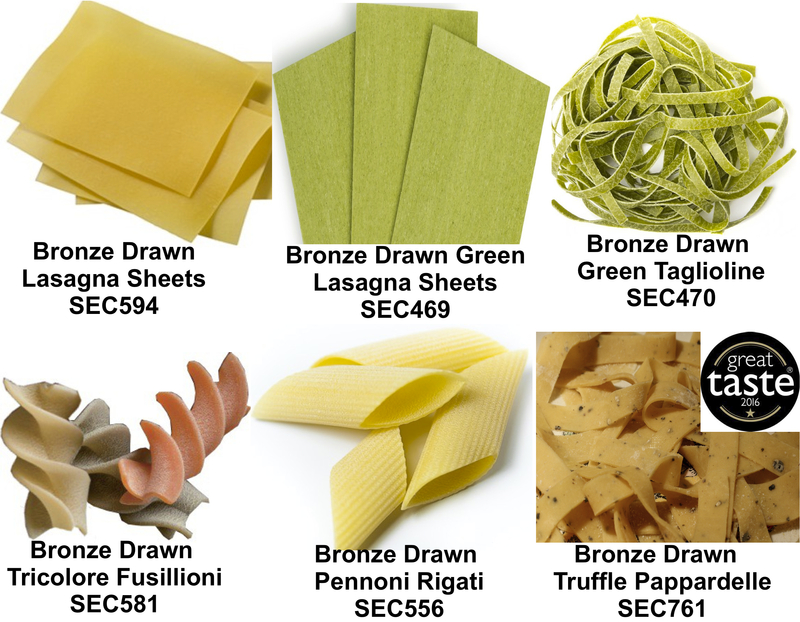 Our selection of pasta is produced in a very traditional way using the best ingredients and is bronze drawn and slow dried. 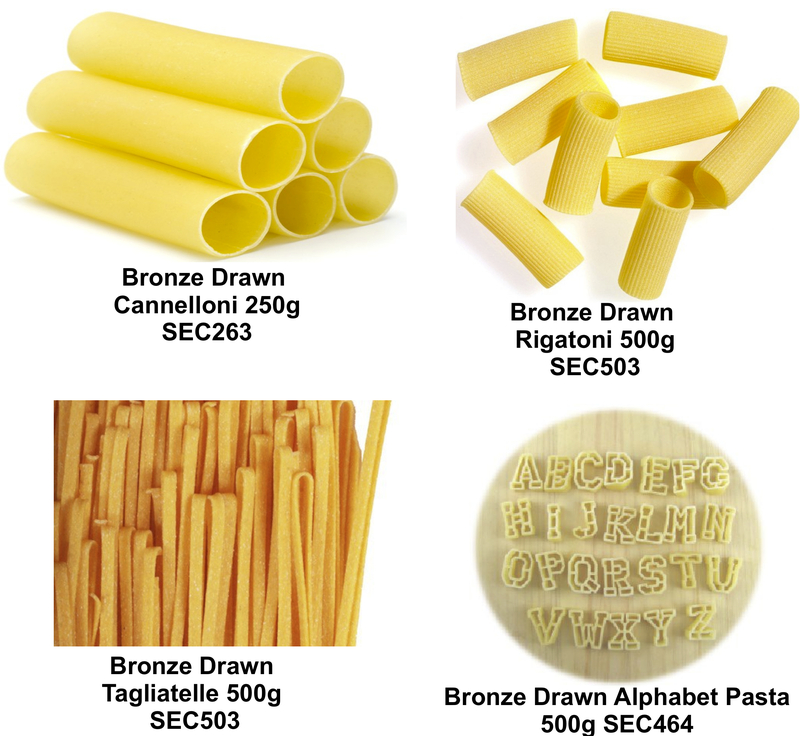 When the pasta goes through the bronze die it gets an added layer of texture which helps the sauce stick to it. 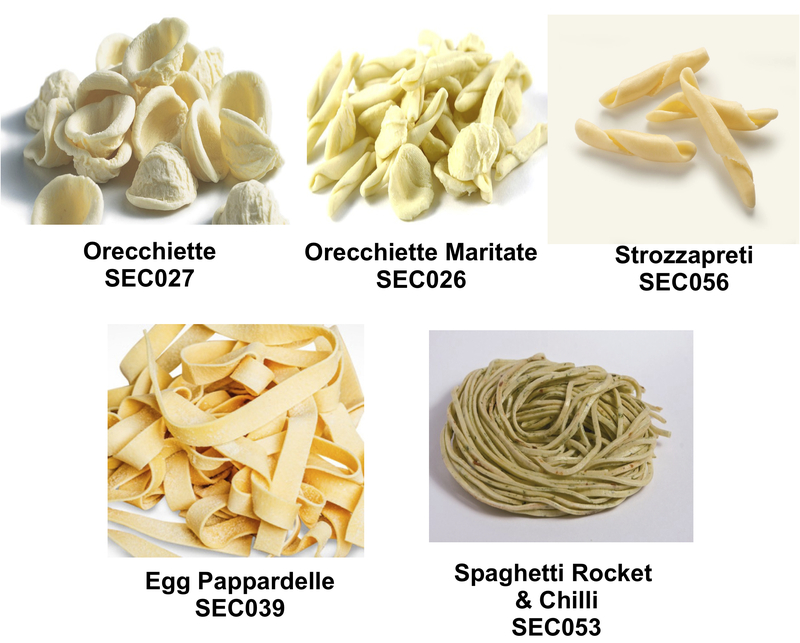 Unlike industrial pasta, our artisan pasta is slow dried. This means that it is dried at room temperature for between 2 to 4 days, this makes the pasta easier to digest and won’t leave you feeling bloated like industrial pasta. 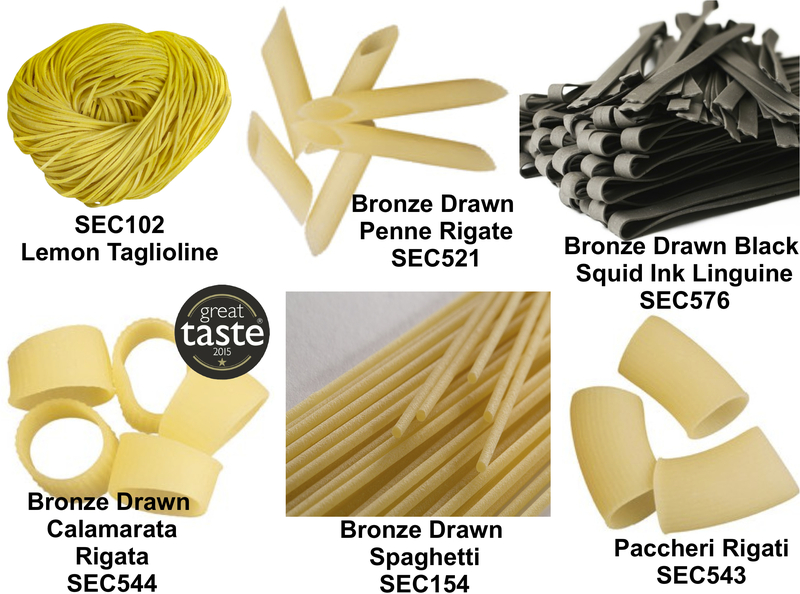 Our pasta selection ranges from traditional Puglian dishes like Orecchiette to specialist pasta such as Rocket & Chilli (winner of editor’s award in 2016 Harrogate Fine Food Show), Lemon Taglioline and much more.